is country’s brand, its cautery. of wisdom’s calling from the stage. You take a break and squander it. the cherry on your cigarette. I’d join you but I’m set in stone. to have you without loving you. 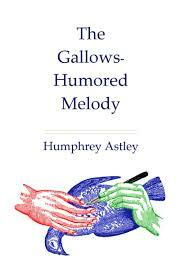 Humphrey ‘Huck’ Astley is a poet and musician based in Oxford, England. His works include the three-part album and stage-show Alexander the Great (PRSF, 2013-15) and the pamphlet The Gallows-Humored Melody (Albion Beatnik Press, 2016). A new pamphlet, The One-Sided Coin, is forthcoming from Rain over Bouville.